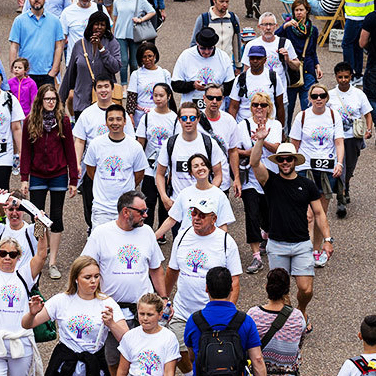 Do something amazing and help raise vital funds for Guy's and St Thomas' hospitals by taking part in one of the UK's most iconic sporting events! Matteo Lupi, former London Marathon Runner. The London Marathon public ballot was announced in October. If you secured a place through the public ballot you can join Team GSTT. All ballot place runners will receive the same benefits as our charity place runners, except with no registration fee or minimum sponsorship target! Apply with your ballot place. A free dri-fit running vest, letters to personalise with your name and fundraising materials. An invitation to our marathon post-race party! For more information about this event, please contact us at events@supportgstt.org.uk or call 020 7848 4701. Want to volunteer on the day? Family, friends or workmates taking part this year? Want to cheer them on and support our amazing London Marathon team? Just click here to register as a volunteer for the day and we’ll be in touch with all the details you need!